Slot Car, RC, Plean, Boat Racing at is best! When you talk about professional slot car racing you're talking about Allen & Allen Motor Speedway Racing. We have the knowledge and experience to take you from novice to Pro. For Business and all of your events. We bring racing to you. Fast Affordable Fun. Since 2005 Redcat Racing® has become the premier source for delivering fast, affordable and fun entry and mid-level, hobby grade, gas, nitro and electric powered R/C vehicles to the market at very competitive prices. Established in 2005, Redcat Racing has become the premier name for Fast- Affordable - Fun ready to run, gas, nitro and electric powered remote controlled surface vehicles. All Redcat Racing vehicles come fully assembled and ready to run right out of the box making it simple for anyone to get started in the R/C hobby. Redcat Racing has a complete line of parts and accessories as well as a wide selection of vehicle sizes ranging from 1/24 scale to 1/5 scale, ensuring that there is a Fast-Affordable-Fun vehicle for everyone. Fast | Affordable | Fun - RC Surface Vehicles for every level of RC enthusiast. To that end we offer RC surface vehicles under three distinct brands (Team Redcat, Redcat and Danchee) and RC accessories under the Hexfly brand name. Team Redcat is our high-end brand of premium RC vehicles, geared towards more experienced drivers. Redcat Racing is our entry and mid-level brand of quality RC vehicles. Danchee is our toy grade brand of RC vehicles. Hexfly is our parts and accessories brand. Carrera is Spanish for ‘race’. Races are all about speed, technology, overtaking and, of course, about crossing the finishing line first! That’s what makes Carrera so legendary. We at Carrera see ourselves as providers of ‘Motorsport at home’, cooperating successfully with the automobile industry and international motor racing teams. So, for us it’s a logical obligation to infuse our products with maximum racing excitement, entertainment and quality. We emphasise the shared experiences of stunning cars, fascinating technology and racing thrills enjoyed by people of many different ages. 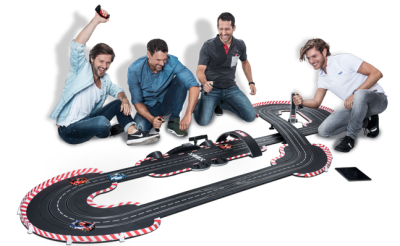 Carrera is an exciting form of gaming that requires speedy skills, so if you fly off the track – you’re out of the race. Carrera cars are subjected to the same laws of physics as full-size racing and sports cars. Centrifugal force must be excellently counteracted with a perfectly-set centre of balance. Downforce is simulated by magnets and the right tyre compound provides maximum grip. Our junior drivers can also look forward to the challenges of loops and other action-stunt elements. Even the youngest drivers speed around the circuits with SuperMario or Lightning Mc Queen. As a child I was proud to have beaten my father on the Carrera racetrack for the first time. Now I’m a father myself and still enjoy the excitement of racing with the kids. There’s no age limit to the fun of Carrera, and it has been bringing together the generations for several decades. Thank you for your interest in our brand. The entire Carrera team would like to wish you even more fun and high-speed action with our products. Our Mission is to also create a showcase for women and minorities who have participated and continue to participate in the auto racing industry, educating our patrons in the rich history of these prominent individuals, as well as the fine art of auto racing in general. We will also have a seminar on various women and minority participants who were famous and non-famous that made a significant contribution to the sport. These seminars will focus on one particular individual and his or her specific contribution, educating our patrons on that individual. Slot Car & RC Racing provides fun, educational, innovative, hands-on traveling exhibition. We can develop interactive experiences for all ages. 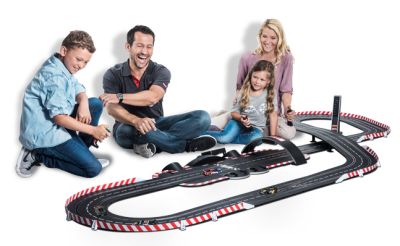 Discover the excitement of science in slot car and radio control racing! Make a positive impact with The International Women & Minorities Racing Museum part of Allen & Allen Motor Speedway Racing, Slot Car & RC Racing at its Best.